Arty Lobster are offering two lucky winners a unique, handcrafted 3D printed sculpture of their pet. 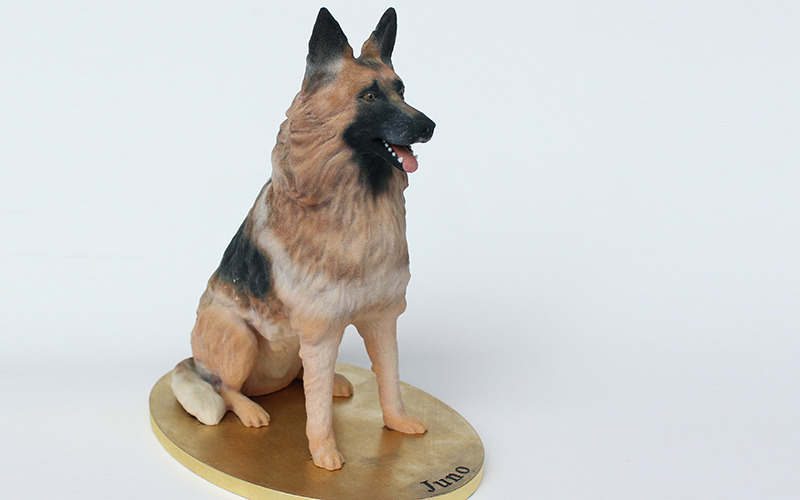 Arty Lobster use the latest 3D printing technology to produce beautiful, bespoke models of pets. From Macaws to Manchester Terriers, our skilled digital sculptors will create the perfect likeness of your beloved animal friend. We are so confident in the quality and realism of our sculptures that we offer a 100% satisfaction guarantee. You can see some of the sculptures we have made already on the Arty Lobster pet sculptures website. Each sculpture is made from your existing photos. We are a small team who take great pride in our work and understand the deep connection between pets and their owners. That is why we set out to create the most detailed and accurate models possible. 3D printing allows us to achieve this. We are delighted to offer two of our large 20cm (8") tall sculptures (worth £270) to two lucky winners.